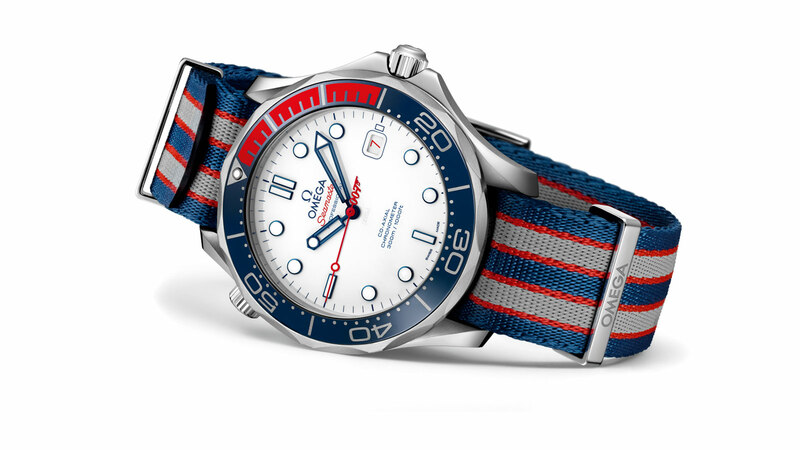 The Seamaster Diver 300M "Commander’s Watch" Limited Edition Inspired by Bond’s rank and regalia, OMEGA has created the "Commander’s Watch". 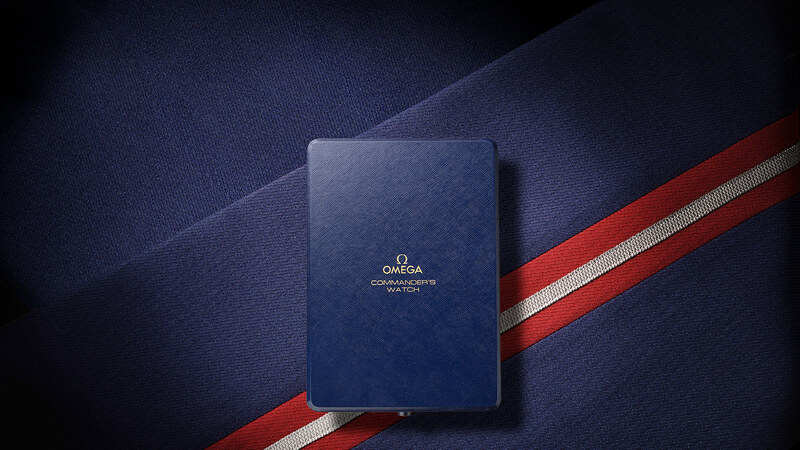 Great Britain’s MoD in World War II. 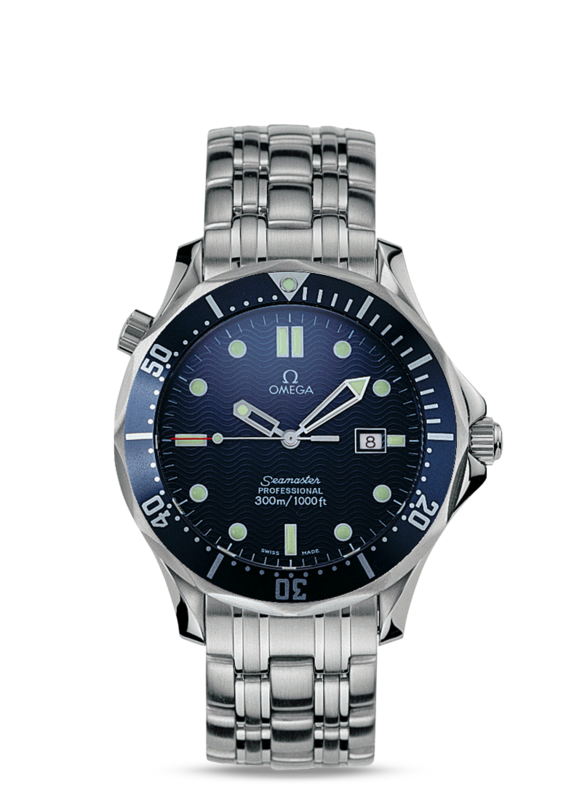 It is entirely plausible that Commander James Bond would have been issued with an OMEGA watch. 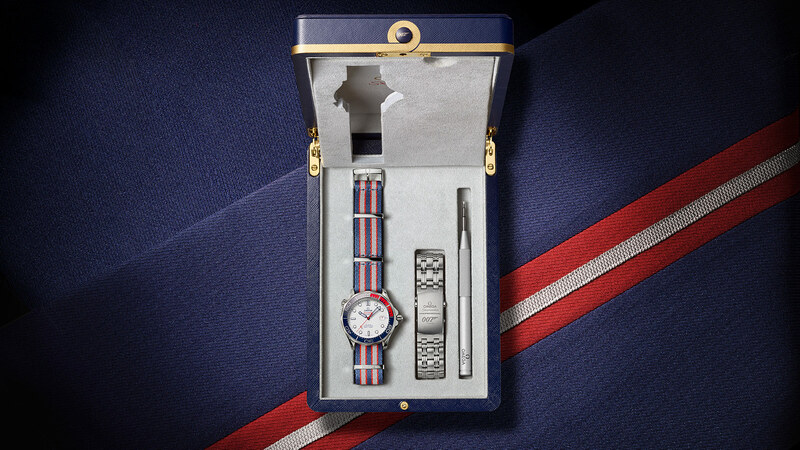 The Commander’s Watch comes with a 3-year warranty and is presented in a special box that has been inspired by a real medal case. with touches of white, blue and red found throughout the watch, creating a suave and stately look. 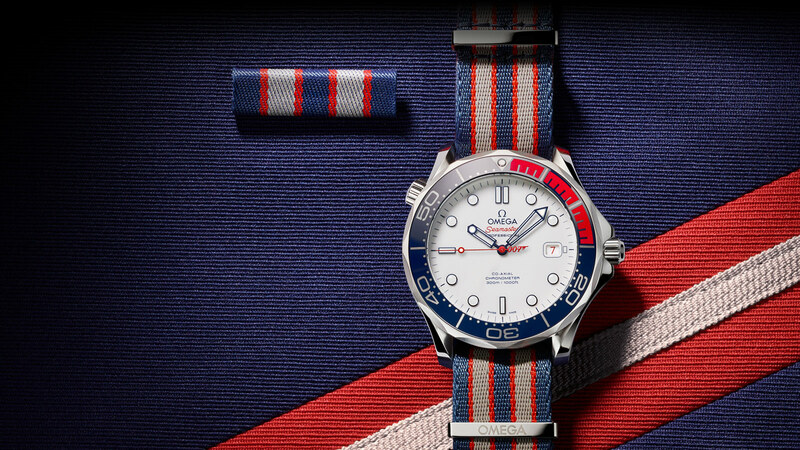 OMEGA watches were once issued to military divers around the world. 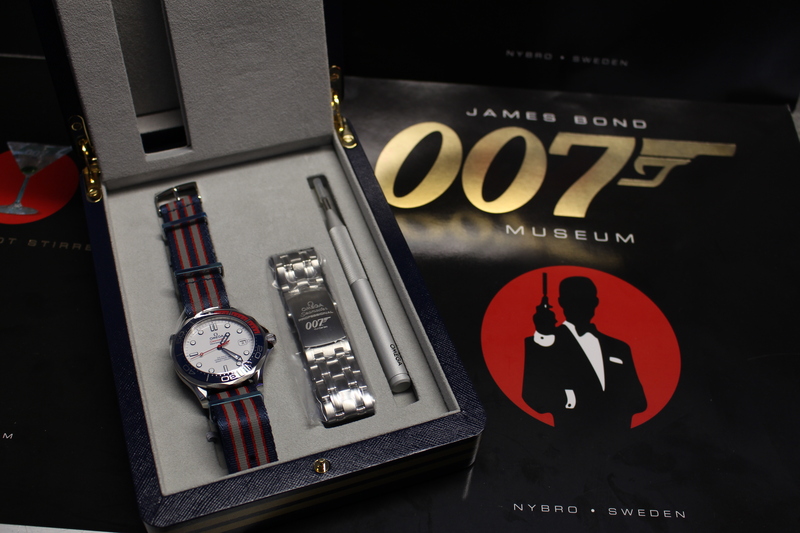 In fact, the brand delivered more than 110,000 watches to Great Britain’s MoD in World War II. 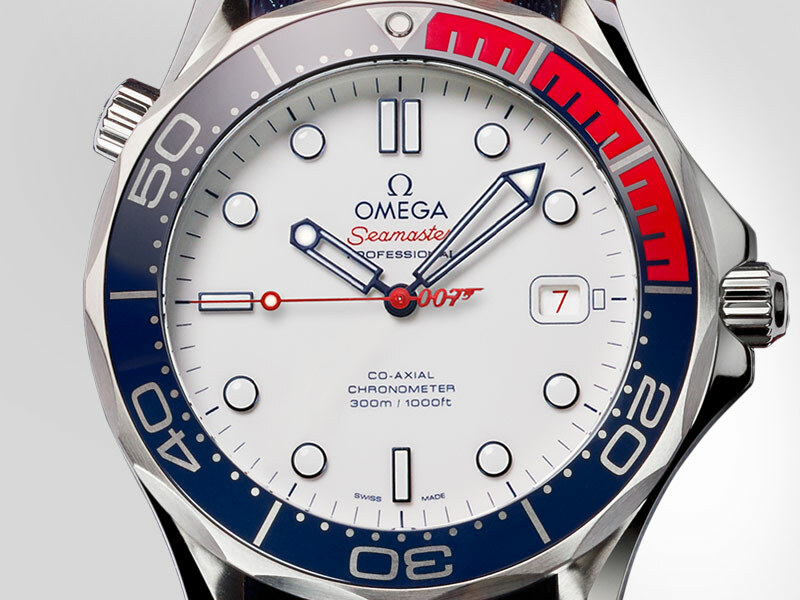 It is entirely plausible that Commander James Bond would have been issued with an OMEGA watch. 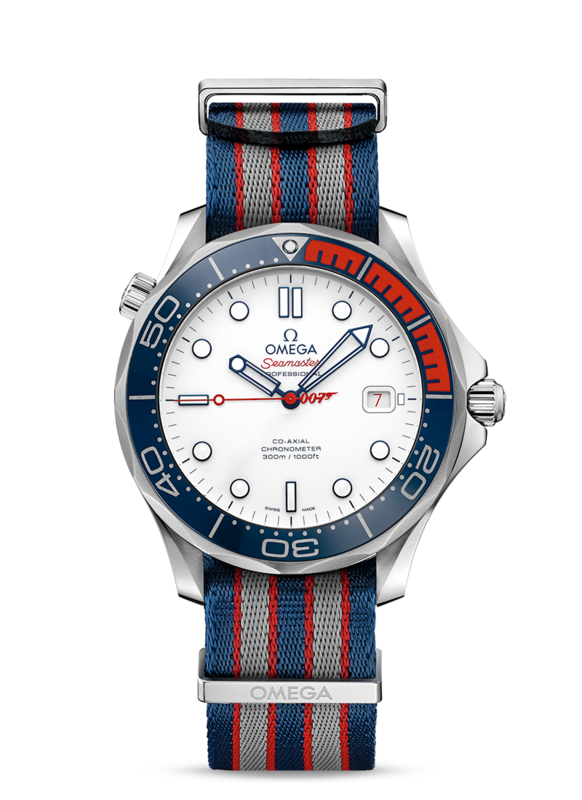 "OMEGA has been worn on the wrist of James Bond since GoldenEye in 1995"
On the wave-edged caseback, the stripes of the Commander’s naval insignia are featured on the rotor of the new OMEGA Calibre 2507. 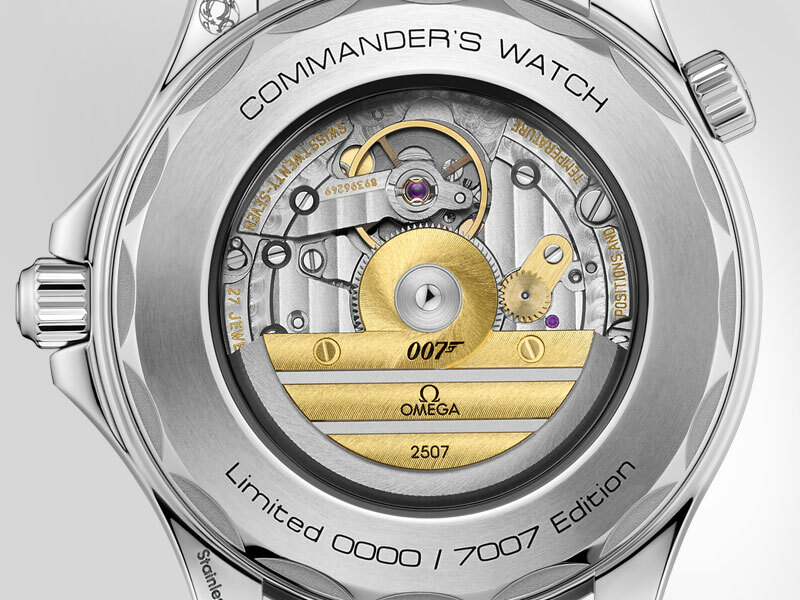 There is also a central 9mm "bullet" design which adds to the 007 touch. 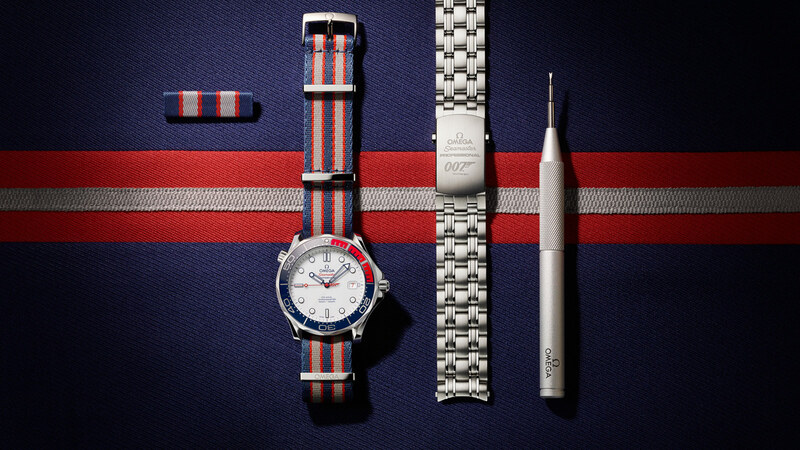 The stainless steel model is limited to just 7,007 pieces.